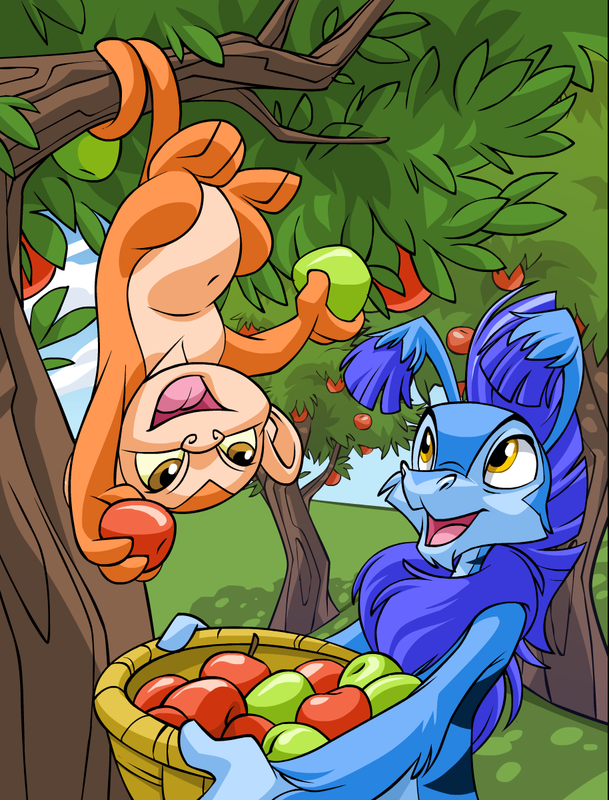 Probably some of my favourite work to do in my last year at Neopets, made even more obvious by how many I apparently did over the course of one summer. These, along with pieces for the TCG, were one of the few chances we had to plus up the art in Photoshop with added bloom, FX, and depth of field. Every artist working at Neopets did everything, from merchandising, to concept art, to this: art for the short-lived Neopets print magazine. I didn't love doing the front covers—the feedback was always overbearingly focused on targeting the broadest appeal possible—but the interior art was always a nice break from site work. 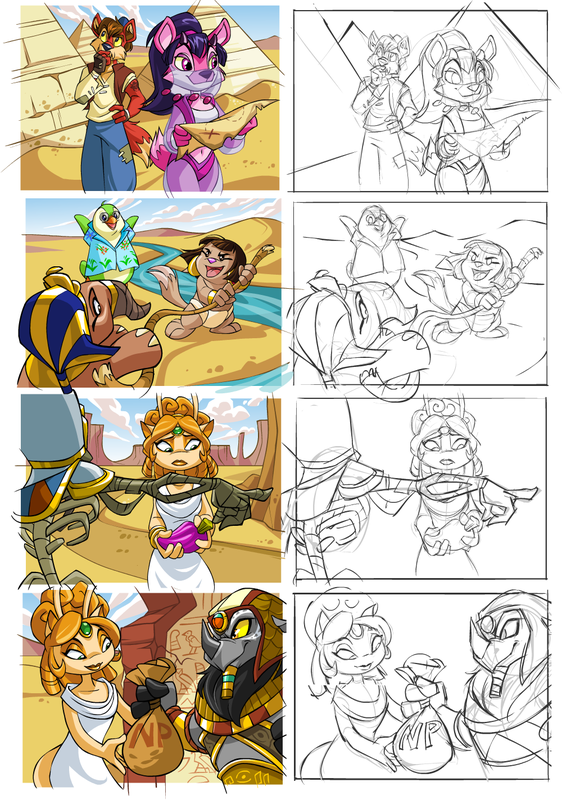 It often involved small narratives, or illustrations that we could plus up a bit with a little more love than usual. These are marked in my archives as "portal images." Wh... what? What are portal images? Why don't I remember them? 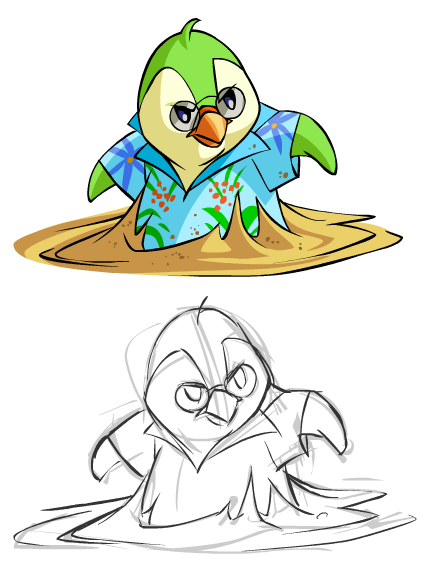 I remember drawing these, but that's about the extent of it. It's a goddamn mystery. Someone explain this to me. 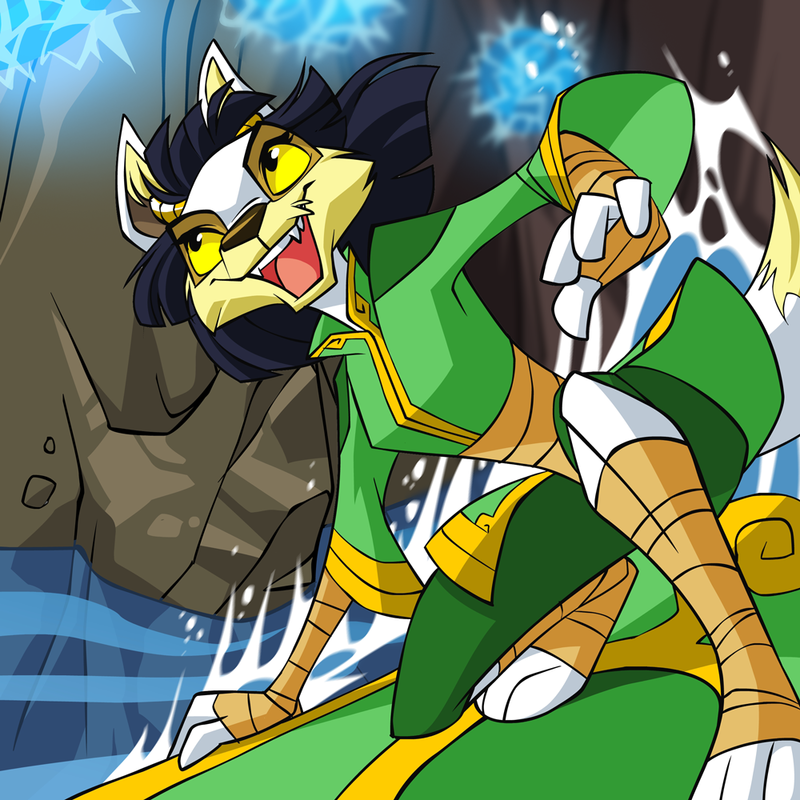 As is the name of the game, working at Neopets involved a lot of miscellaneous tasks like how-to-draw art, caption contests, items and clothing, etc. These are all assorted jobs from 2007 that didn't quite fit into the other categories.